A Character In Serialized Fiction Who Meets Or Exceeds The Popularity Of The Main Character Is Called A? Which Video Game Franchise Features Fan-Designed Bad Guys? Every once in a while, there’s a character in a work of fiction that becomes the darling of fans, “breaking out” of their original role as a minor player. Some of these breakouts go on to star in their own works while other breakouts remain where they originated, simply becoming focal points of the series. There are notable examples of this phenomenon in film, animation, television, and even video games. Although it’s hard to believe it now, the role of Captain Jack Sparrow, played by Johnny Depp in the Pirates of the Caribbean film franchise, was originally intended to be a supporting role. Depp’s over-the-top portrayal was a fan favorite, however, and it’s impossible to imagine the films without him. 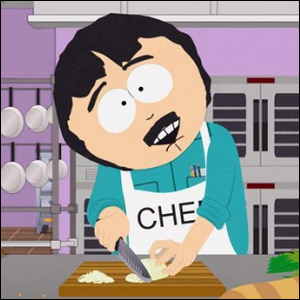 The popular animated series South Park has also had its fair share of breakout characters too, most notably those of Randy Marsh and Butters—both were very minor characters until fan adoration and attention pushed them into the limelight. Perhaps one of the highest profile breakout characters of the late 20th century, however, is that of Elmo. Originally a minor character on the PBS production Sesame Street, Elmo’s meteoric rise in popularity with young fans during the 1990s led to his character getting a distinct segment on the show called Elmo’s World along with huge success as a major marketing icon for the franchise. Image courtesy of Comedy Central/South Park Studios.